Marketing has to take up challenges every day. It is always searching for the answers: What does attract customers? What does evoke emotions? What associations does the brand cause? Quantitative data from surveys and answers from focus groups are not the best way to identify what drives customers’ behavior and attitude. Traditional research is more about what people remember about their experience, but it's too inaccurate data if you want to know what people really think and feel (often they can be not aware of it, at least consciously). A good marketer can't rely on customers’ memories. To get to know how to influence consumers' behavior marketer should rely on the good consumer insights. What is a consumer insight? Сonsumer insight is a complex product of data collection, analysis, and interpretation which marketers need to attract and retain customers. Imagine attending a play at the theater. What you see at the stage is the performance – things the director and artists want you to see. Though, if you want not only enjoy what you see but also understand it, you would have to go backstage, where all the preparatory work is done. That’s how our brain works – it brings to the world thoroughly processed information leaving all the thought process hidden behind the scenes. 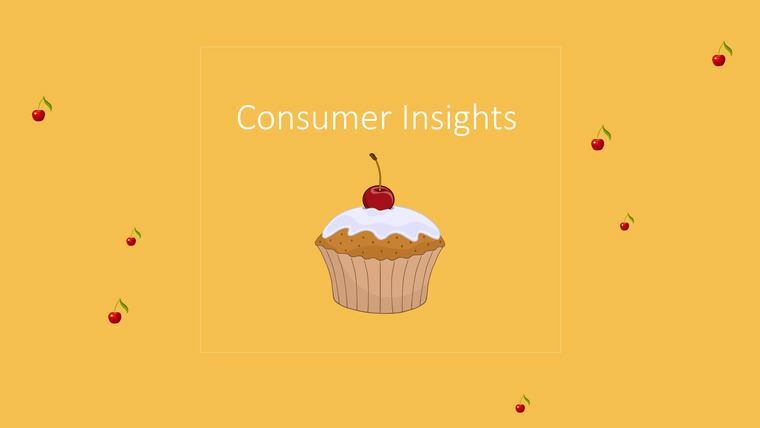 Getting consumer insights is like getting to know what customers really want without directly asking them and then using their “unconscious” answers to lead them to decisions which will be beneficial both for them and for you. Consumer insight is this “backstage information” which provides you with a clear and comprehensive overview of the play even before it starts. The application of neuromarketing tools substantially improves the quality and thus the applicability of such insights. The efficiency of distilling consumer insights from a bunch of data depends on how you work with the information – through which channels you collect it, how you analyze and interpret it. So, how to get good consumer insights? In order to get the best results, you should diversify which tools you use. Besides traditional surveys, it’s highly important to use neuromarketing tools, such as eye tracking, EEG, emotion measurement and others. These technologies are able to provide an in-depth analysis of customers’ behavior and motivation through penetrating the domain of information lying outside of what customers say. Thus, measurement of emotions, brain activity and other non-verbal patterns of customers’ behavior will bring you much closer to the understanding of unconscious and uncontrolled processes taking place in a customer’s brain - a basis of any valuable insight. The rapid development of techs and big data-driven solutions naturally requires fast data analysis. The data obtained during the course of the research should be analyzed very quickly in order for insights to stay relevant and applicable. Otherwise, they will just become outdated (which is synonymous with “useless”) and all your efforts and resources put into the research will be wiped away. Seems like an unpleasant perspective. That’s why it’s very important to use automated solutions which speed up the data analysis. Contemporary online market research platforms can automate loads of stuff including the segregation of poor quality survey answers which are not then taken into the account in the automatically generated reports. Data interpretation is still the most complicated part of any research. At this stage, you have to clearly identify obstacles which prevent customers from better engaging with your products as well as seeing which behavioral patterns should be addressed in order to improve the satisfaction of their needs and thus increase your sales. Properly collected data, as well as the verified quality of responses, are very important as they prevent mistakes during data interpretation. At this stage, it also might be relevant to refer to professional market researchers in case you lack experience or proper skills in data interpretation. Contemporary marketers should be multitasking and tech-savvy. They should be designers, psychologists, and researchers at the same time. They should know how to transform raw data into valuable insights and use automated research platforms for this. Customized, particular business tailored insights are the ultimate competitive advantage of the future which you should ensure you have if you are planning to stay in the business over the next 10 years.